Today we have Jummah prayers at 1:00pm in the Prayer and Community spaces. On Saturday there is Chan Meditation in the Prayer space, starting at 11:00am. On Sunday yoga takes place at 10:00am in the Community Space. Please feel free to come along and take part in some or all of these activities. 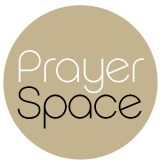 If you have any questions, contact the administrator at admin@prayerspace.org.uk.